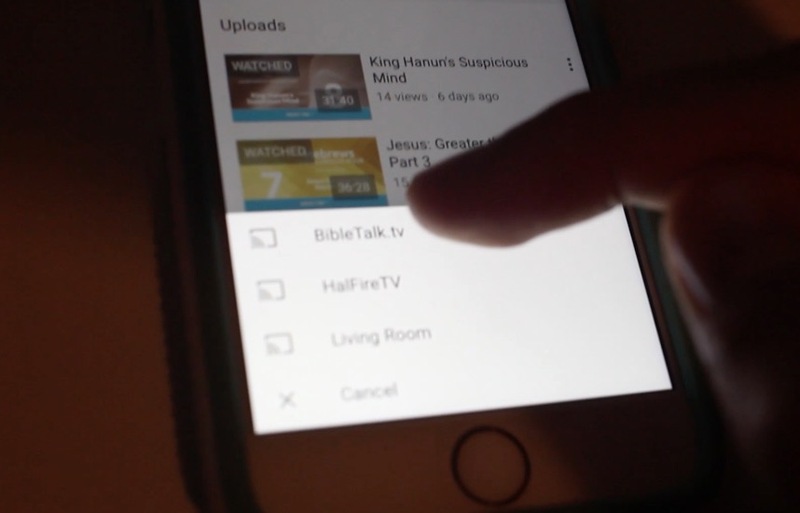 A simple guide to using a Chromecast device to access our collection of free Bible video lessons for your Congregation. In this guide we don't go into much detail about setting up your Chromecast. If you need help with that step, Google has an excellent guide that covers the process. The first thing you need to do is download the Chromecast app (iOS, Google Play) and also the YouTube App (iOS, Google Play). Once you have the apps installed and have setup your Chromecast device properly, open up the YouTube app. In the top corner you should see a search icon. 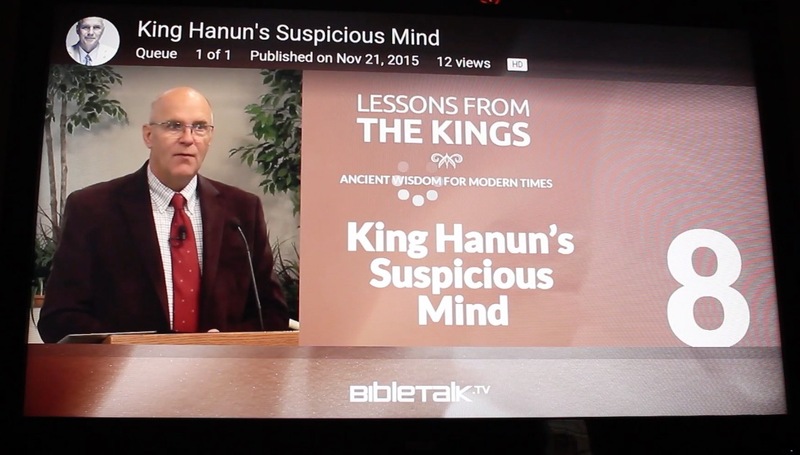 Click in that and start to type BibleTalk. 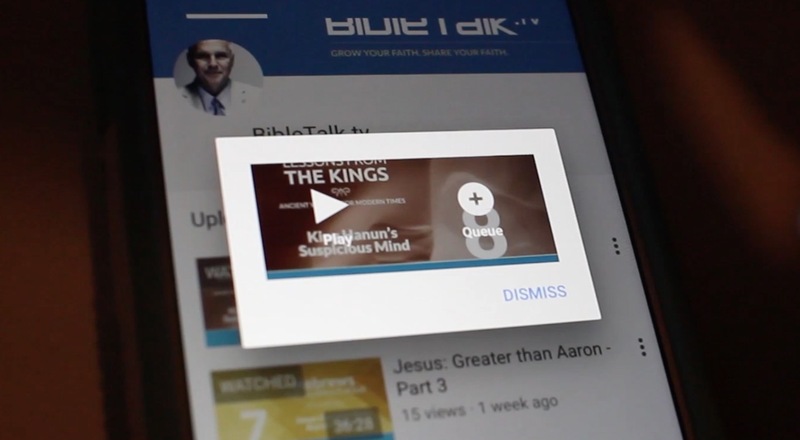 The search helper will start to show results and you should eventually see BibleTalk. 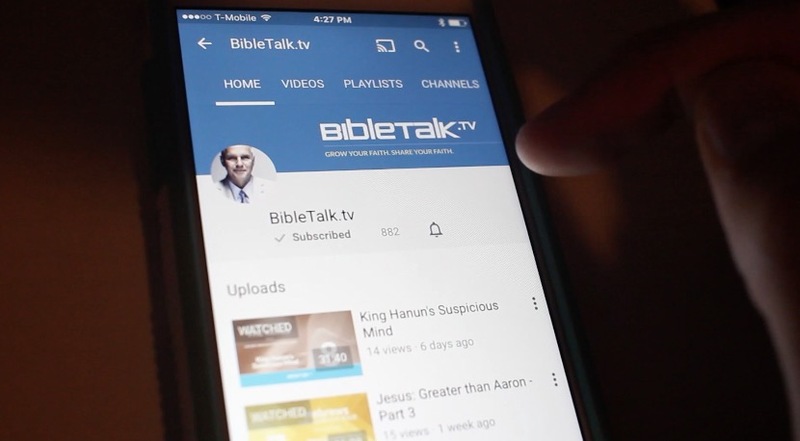 After you click on the search helper you should see BIbleTalk.tv as the first result. This will take you to our videos and playlists (series in our terms). There is a subscribe button on our page that will make this process faster for the future. Subscribed videos/channels will show up on the first page when the app is launched in the future. Now you are ready to cast a video. In the top of the app there is a cast icon. It is a rectangle with some lines in the bottom left corner. 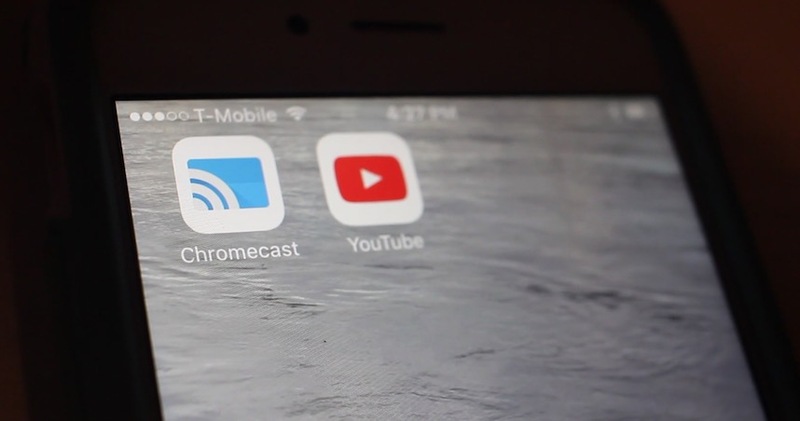 Click it and it should slide up from the button a list of your Chromecast devices. Choose the one you want to use. Not much happens after you choose the device actually. But you are ready to click on a video. When you choose a video a little popup window allows you to play or queue the video. 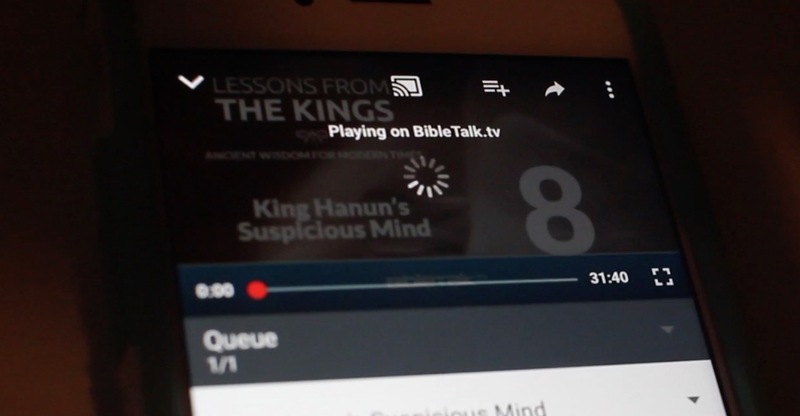 When you hit play on the video, it should start to load on your TV screen and not start playing on your device. This is what it looks like on the TV. You can pass out the lesson notes and let the class begin. If any questions come up, simply press pause on your phone or tablet to answer.